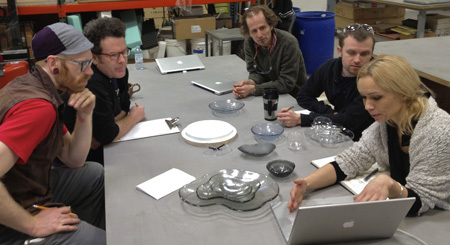 We held our very first “Crash Course in Glass Cutting” recently at Bullseye Resource Center Portland. 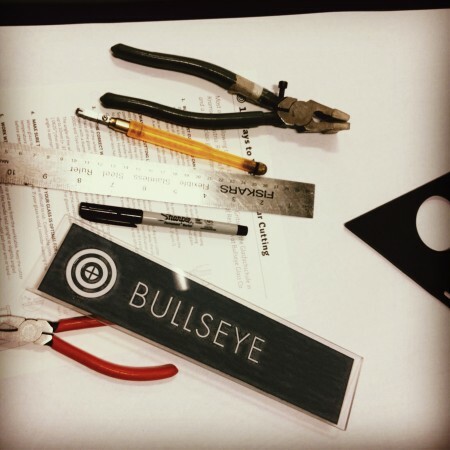 Check the class schedule for future classes, and get your glass cutters ready! 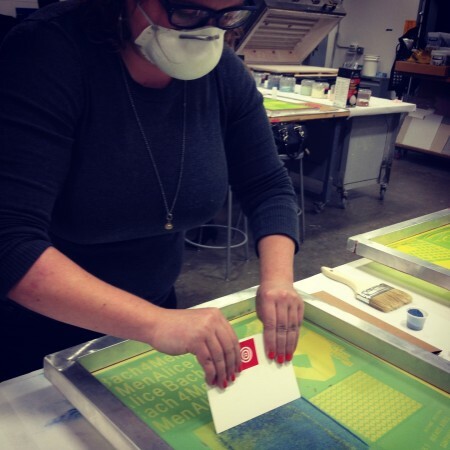 Hip to Be Square, taught by Stacy Lynn Smith, is a fun introduction to the powder printing technique. Check the class schedule for the next session. Meanwhile, here are some action photos from a recent class! A student prints an image.